Are our ASX 200 companies walking the walk? Most ASX 200 companies have codes of conduct, but the codes themselves leave a lot to be desired, a lobby group has said. The Australian Council of Superannuation Investors (ACSI) released its assessment of ASX 200 companies’ compliance with their codes of conduct today, and the results aren’t pretty. The research found that while 199 of the ASX 200 companies have disclosed codes of conduct, only 14 of those codes have met ACSI’s definition of “leading practice”. ACSI, which defines itself as a lobby group focusing on environmental, social and governance issues, defines codes of conduct exhibiting “leading practices” as those which aren’t older than two years, those that use examples, Q and As or case studies, and those which feature a CEO introduction. ACSI said CEO introductions for codes of conduct help “set a tone from the top”. On top of failure to exhibit leading practice, ACSI noted that less than 67 per cent of ASX 200 companies cover five of the 13 recommended policy topics in their codes of conduct. The omitted topics include cyber crime, anti-money laundering, human rights and fair dealing. To ACSI CEO Louise Davidson, the results are concerning. She said, “I find it hard to fathom that so many of Australia’s largest listed companies tolerate such significant gaps in their codes of conduct and whistleblowing systems. This represents a material risk to their reputation, licence to operate and value. 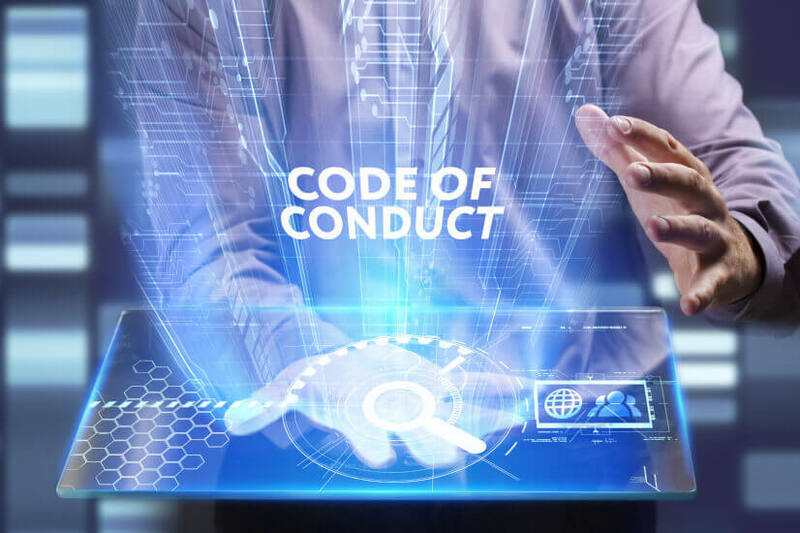 ASX 200 companies did well on covering anti-discrimination and equal employment opportunity risk in their codes of conduct, with 86 per cent ticking this box. On the other end of the spectrum, only 12 per cent of ASX 200 companies with codes of conduct covered data protection and cyber crime risk. Noting that codes of conduct and whistleblowing systems are intrinsic to promoting good corporate culture, ACSI also highlighted that 38 companies did not cover whistleblowing in their codes of conduct. Ms Davidson argued that this is a “significant missed opportunity”. “Unless codes of conduct provide guidance to employees on where to go to report misconduct and other important information, such as how reporters will be protected, then how can companies expect their whistleblowing systems to be effective?” she said. In order for whistleblowing systems to work, they need to provide the whistleblower with anonymity, be available 24/7, explicitly note that retaliation against whistleblowers is unacceptable and be available to suppliers and contractors. However, only 29 per cent of ASX 200 companies feature provisions for suppliers and contractors in their whistleblowing systems. Sixty-five per cent emphasise that retaliation is unacceptable, while 52 per cent have systems available 24/7 and 55 per cent provide anonymity. With this in mind, Ms Davidson condemned the companies on the wrong side of the figures. She said, “You can’t say you’re serious about improving corporate culture if you have a code of conduct and whistleblowing system that provides piecemeal coverage, poor usability and weak accessibility.